Let us help you with the wedding of your dreams! 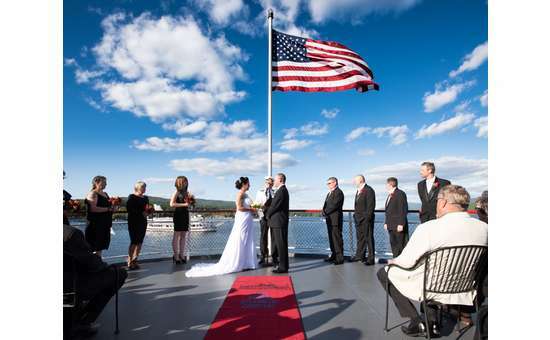 Lake George Boat Weddings at the Lake George Steamboat Company offers you the most unique and beautiful setting you can imagine! Looking for a unique wedding in a location and setting that could easily be the most beautiful setting in all the Adirondacks and beyond? 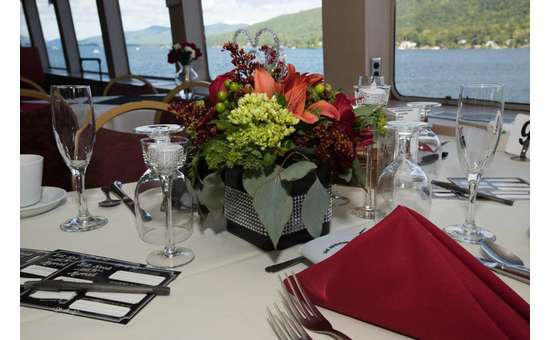 Our Wedding Coordinator and Wedding Director will work closely with you to plan one of the most memorable Lake George weddings aboard the Lac du Saint Sacrement. 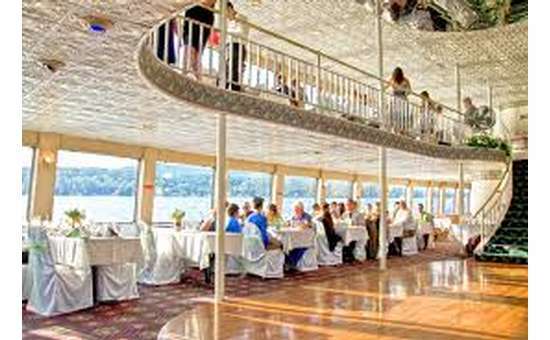 The Lac du Saint Sacrement can accommodate weddings of all sizes from 2 to 400. 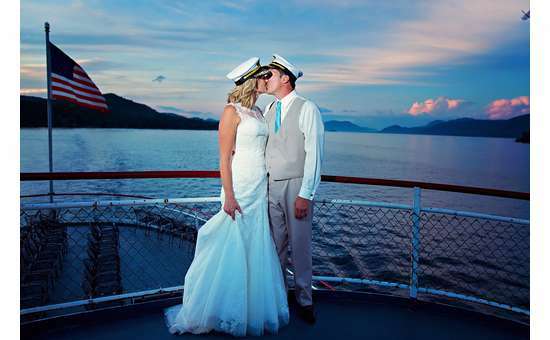 Our Captain is a fully licensed marriage officer . 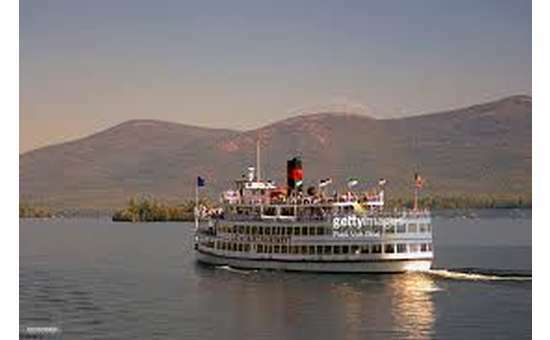 The Lac du Saint Sacrement is the largest cruise ship on the inland waters of New York State. She measures in at a length of 190 feet. Her dining rooms are enclosed and climate controlled, offering comfort for your dining and dancing pleasure. 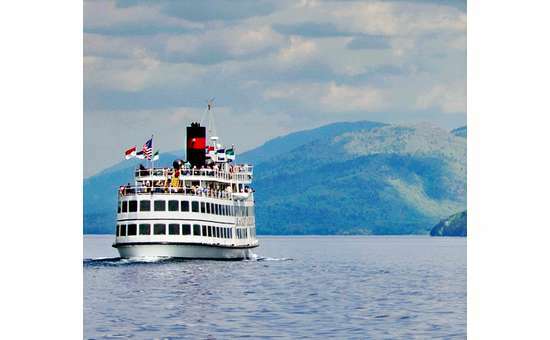 The "Saint" also has two outer decks that allow for the best Adirondack viewing experience. 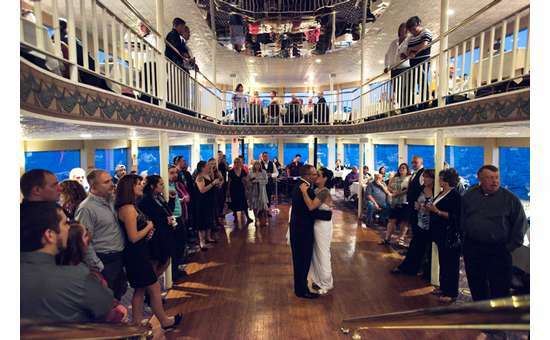 Conveniently placed restrooms on the first three decks, and a wheelchair lift that goes up to third deck make her handicap accessible. 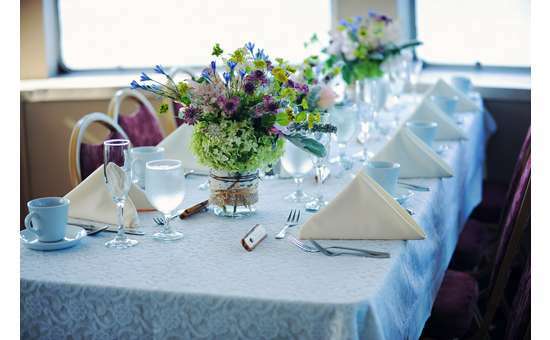 For more information about various wedding packages please contact Toni Huntington at (518) 668-5777 extension 209.